Many thought that vinyl LP records would die a painful death with the advent of CDs but they are more popular than ever now. We recently hosted a garage sale to sell off some old clothes and some other odds and ends. As always, the first people to arrive just when all the stuff is first being laid out will unhesitatingly ask, ‘Have you got any vinyl?’. Much like stamp collectors who will snap up a bag of assorted stamps in the rare likelihood that they might come across something scarce, record collectors will snap up your secondhand records in no time provided they have been, at least, reasonably looked after. If the cover of the record is especially cheesy, they may take that as well. I have more than a thousand vinyl records at home and I will never part with them. Collected over the years from when I was a young teenager, they have formed a piece of my musical life in some way or another. I have always taken care of my records taking care to never scratch them or leave them unprotected without their inner sleeve. For additional protection, their outer sleeves are also encased in protective heavy PVC transparent outer sleeves. So what’s all the fuss about? What makes vinyl so special? There are many audiophiles out there with high-quality turntables who would probably say yes; however, the answer is more complicated. First off, everything depends on the quality of the recording, whether it is digital or analogue. To obtain the best quality possible, studios would need to be kitted out with high-quality components all down the chain from microphones right down to the recording equipment. This includes using the minimum number of connections, using high-quality cables and connectors, the right acoustic room conditions and a clean power supply. The quality of the sound is dependent on the weakest link of the chain: if the recording quality is poor, the end result will also be poor. Many recordings have been successfully re-vitalised to some degree using a variety of audio-specialist software; however, in most cases, the original essence of the sound is often lost during the process. The next thing to consider is the medium of the recording. During the last century, the majority of recordings have been stored on high-quality analogue multitrack tape. For those who remember cassette tape players, extracting good sound-quality from pre-recorded material warranted the use of high-quality tape decks; the best I can remember during the time being the Nakamichi Dragon (pictured below). Some of us may remember the huge quality differences between blank cassettes; from cheap and nasty, to chrome and then on to high-quality metal tapes. Analogue tape also deterioates in time losing its edge, ‘blackness’ and vivacity of sound. I read somewhere that high-quality analogue tape reels kept in commercial studios, now and again, are spun to offset the effect of magnetic scarring. In short, keeping analogue recordings on magnetic tape is expensive and prone to deterioation in time. This all leads up to when the best time it is to master an LP from a high-quality analogue tape recording. The answer is, of course, as soon as possible. Assuming that the equipment, the master and the vinyl pressing is of high-quality, and that music is not ‘squeezed’ too much to fit onto the LP (by RIAA equalisation), LPs can re-create a very near representation of the original recording given a high-quality turntable, tonearm and cartridge. The classic problem of the ‘vinyl sounds better than CD’ situation is most often attributed to those recordings which have been transcribed onto CD many years after the recording. Some of these analogue masters have been kept in better condition than others over the years, so it not wholly surprising that, in many cases, the CD version of the recording (often re-mastered and meddled with) just doesn’t sound as good as the vinyl version. Today, very high-quality recordings can be transcribed onto digital media usually in the form of very high-resolution, uncompressed audio file formats easily outperforming the quality of standard CD and far outperforming even the best MP3 files. Much of today’s population immersed in the world of MP3 files and music downloads have never experienced just how good music can sound from a high-quality digital source. The biggest advantage of digital audio files is that they are easily copied and do not deterioate. It is not uncommon to find LPs which have been cut from a digital source; however, in my view, this sort of defeats the purpose as, from a sound-quality perspective, simply having a copy of the digital audio file provided you have the right playback equipment is the better option. Finally, I believe there is a psychological element to the debate as to whether vinyl sounds better. The act of removing the record from the sleeve along with that tactile feel of the vinyl, the act of gently lowering the cartridge on the leading portion of the groove in the record, and finally, sitting back in comfort listening to the whole side of the record without interruption could have a perceived effect on how we are listening to the music; feeling the music rather than just analysing the technical attributes of the quality of the sound. This is interesting considering that; however good the turntable and condition of the LP is, there will always be some element of surface noise along with the occasional clicks and pops. Does vinyl sound better? It just depends on very specific circumstances. When you select an LP album to listen to, there is a deliberate step-by-step process which happens. You have something in mind and proceed to search for the record. You pull it out from the shelf admiring the artwork adorning the front of the cover. You extract the inner sleeve from the record cover which, in some cases, may have additional artwork or some handy lyrics to follow. You remove the lid of the turntable, switch it on, pull out the record from the inner sleeve. You then carefully position the record on the spindle and carefully move the tonearm and cartridge over the start of the record and lower gently onto the surface of the vinyl. Just by looking over the surface of the record you can approximate the length of each track and visualise the quiet and loud passages by noting the glossy and matte sections respectively. You then proceed to sit back and relax while still possibly holding the album cover in your hands with the intention of listening to the complete record. After all, skipping from track to track is not really convenient and relies on a steady hand. Many LP albums are theme-based and are meant to be listened to in its entirety. A great example of this is Pink Floyd’s The Wall. Playing a CD does not quite have the same tactile feel. Once you struggle to release the piece of cheap plastic, which is easily scratched, from the plastic ‘rose’ in the middle, you then insert it into a CD player much like mailing a letter. I think many of us are in agreement that CD jewel cases are possibly one of the most poorly-designed and fragile objects in the universe. I have a good number of CDs in my collection which the cover has either cracked, the hinges dislocated or the plastic ‘rose’ holding the CD in the middle losing half of its plastic petals resulting in your CD slipping and sliding within its case. You can still sit back and relax; however, if you CD is damaged or scratched, prepare for one of the worst audible experiences known to mankind: digital glitches! Multimedia systems playing digital audio files can be an entirely different listening experience. Provided you have done your due diligence with respect to naming them correctly so that your media server categorises your music correctly and plays your music in the correct order, you can recreate a similar listening experience. However, on many multimedia servers and renderers, gapless playback is still not available, which means, between songs on an album which are meant to flow into each other, your song gets cut short suddenly until the next song suddenly jumps out where it was left off after a few seconds of silence. Networked music is technically quite involved and I am sure that many of us who have such networked systems have, at one time or another, experienced glitches or errors resulting in the need to reset the system again. Some of us do not have the technical ability to get these systems running and often rely on getting another member of the family or a friend who has more technical expertise in these matters. These systems are great for social functions and parties insofar that you can queue up tracks that you want to play, provided you have the time beforehand. I have a good friend who lives near Newcastle in Australia who, during university days, was teased by me and another mutual friend that if he did not play his records frequently enough, the grooves would heal. At first, he thought we were really serious, but quickly realised that we were having him on. In all seriousness, provided LPs are looked after; in other words, stored vertically and not exposed to too much heat like, for example, in the back of a car under a window, they will last forever. Just to add to this, never use a cheap and nasty turntable. My first turntable was a Panasonic hand-me-down which had a heavy tonearm and a stylus from hell which damaged the record further. It also had the ability to automatically play one record after another by dropping the next record stacked above when the previous record was finished. This, of course, is a bad idea if you want to keep your records in good condition. This contraption of a turntable did, indeed, manage to severely scratch and damage some of my first records. Remember, it is the stylus which wears down in time, rather than the record. A good turntable setup will never damage your records. To be fair, I haven’t had many issues with playing my old CDs; however, there are one or two which emerge now and again which have proved to be problematic to play. Some of these CDs required extraction using software like Exact Audio Copy and then re-encoded onto new blank CDs. However, those that are familiar with the method of how audio CDs are encoded are aware that exact copies are never made unlike data CDs. It seems that some of my older CDs have suffered some deterioation along their many travels around the world! Digital audio files will not suffer deterioation for obvious reasons that they can be copied and stored in several locations including the Cloud. This is, of course, if they are not corrupted during the copy process. 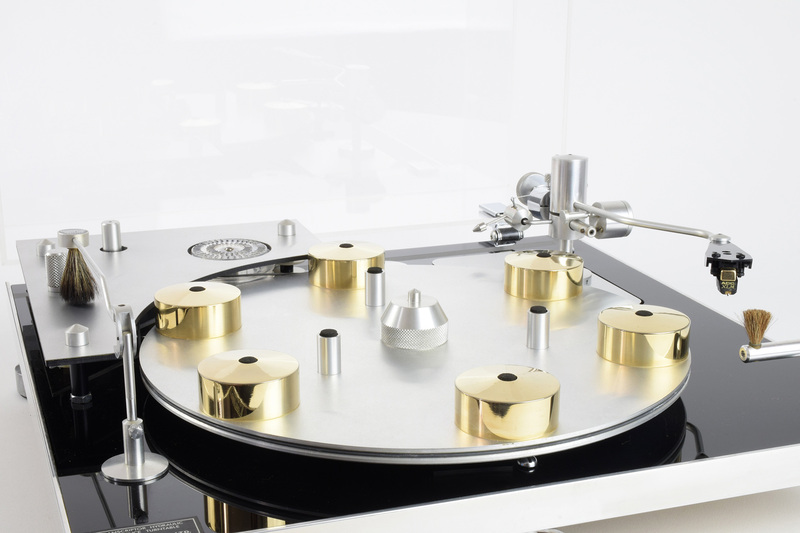 The equipment on which vinyl records are played on is purely mechanical, comprising of, the turntable, the tonearm and the cartridge containing the stylus. Unlike other digital playback equipment, its technology never really becomes obsolete. Of course, there are always improvements being made in materials technology with new and improved tonearm and cartridge design; however, once upon a time during the late 80s, I recovered an old Transcriptor turntable (a predecessor to the beautiful Michel Gyrodec) from an attic which my father had used back in the 70s. After fixing it up, I tried it out and, hey, presto, it sounded marvellous. Turntables don’t require software upgrades and you never have to worry about format incompatibilities either. Another beautiful thing with turntables is that you can mix and match many combinations of tonearms and cartridges to suit your musical tastes. Some of my favourite turntable/tonearm/cartridge combinations of all time include the Pink Triangle PT TOO/Rega RB300/Audio Technica OC9 and the Roksan Xerxes/SME V/Koetsu Wood. These days, I’m content with my Rega 25/RB600/OC9 which I’ve owned since the early 2000s. Below is a photo of the iconic SME Series V tonearm, an item I’ve always sought after secondhand. In general, vinyl LP records are far more collectable than CDs, although there are exceptions to this. Digital audio files are not physical objects you can hold in your hand and I have never heard of anyone referring to them as collector’s items. There are some LPs which can fetch thousands of dollars depending on its condition and scarcity. Many record collectors use online resources like www.discogs.com to find out what their record collections are worth. Popular releases will often have over a hundred of different pressings and it is often a challenge identifying exactly which one you have. This research involves identifying the label, country and year of manufacture, along with the etching of letters and numbers on the trailing edge of the groove (known as matrix numbers) near the centre of the record. Why would this be? During the 90s, many releases were sold on vinyl and CD; however, vinyl was losing popularity in a big way and CDs were all the rave. Very few people, and this still applies today, had a good-quality turntable and, as the price of a CD was about the same as the LP and CD players were becoming cheaper every day whilst turntables were becoming more expensive, CD sales vastly outperformed LP sales. I worked in the audio industry during the 90s and, having had a Linn Sondek turntable at the time, always snapped up the LP version rather than the CD version. Moreover, some of these LPs were made with heavy high-quality vinyl and for longer releases, rather than squeezing them onto one record, they were often spaced out onto two records. With far lower quantities of the LP versions being sold, some of them have become reasonably scarce and sought after. Did vinyl almost die of death? Many during the late 80s and early 90s were pretty certain that the humble turntable and vinyl LP record were going to die a miserable death. After all, there was this marvellous new CD technology, a so-called ‘digitally perfect’ rendering of the music which nearly fits into the palm of your hand and plays music without pops and hisses. Many record shops were beginning to stock only CDs due to supply and demand. LP sales dropped which, in turn, affected sales by manufacturers of vinyl records. It was getting increasingly more difficult and expensive to source vinyl with the number of vinyl suppliers diminishing. Thankfully, there was the audiophile and DJ community who kept up enough demand to produce LPs and 12” singles, both of which require vinyl. For the next ten to twenty years, new releases on vinyl were becoming fairly difficult to find. Most high-street shops did not sell vinyl and the only way you could purchase vinyl was to either shop online or hunt through secondhand record shops, a paradise for LP enthusiasts. During the last ten years or so, it seems that vinyl has taken off in quite a big way again. I see new vinyl stocked in some of the high-street shops. 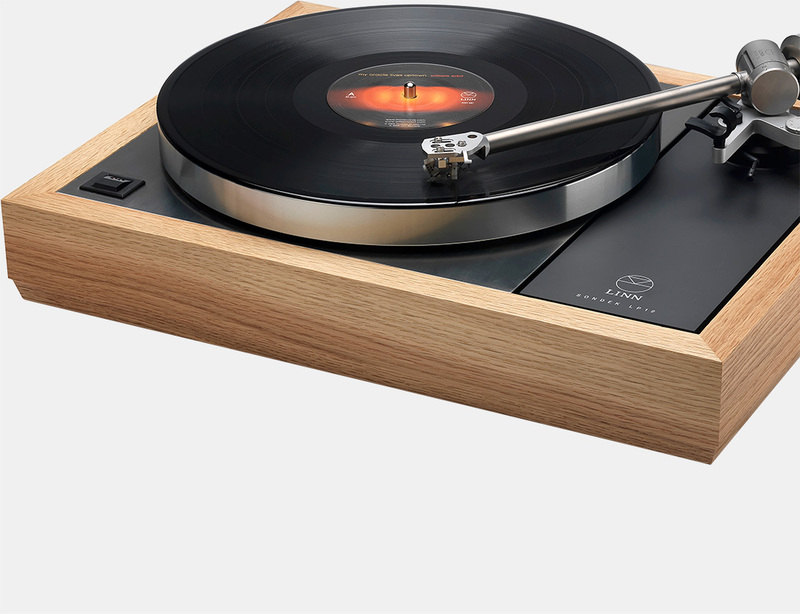 Turntable sales have done well in the last few years despite the enormous price increases. Take for example the iconic Linn Sondek turntable. Back in the late 80s, the top spec combination was the Linn Sondek LP12/Ittok/Troika selling for around £1200 or so. I was in near shock when I recently discovered that the latest top spec combination of LP12/Ekos SE/Kandid would set you back a cool £17,000! However, I always personally thought that Linn products, given the stiff competition by other manufacturers, have been somewhat overvalued ever since the 90s when their prices started to really skyrocket. Linn Sondeks are also notoriously difficult to set up properly! Some of the best moments with friends I’ve had is when they bring a few LPs around over to my place, at which we start to crack open a few beers while listening to various records. One of these friends, by the name of John, has an extensive Frank Zappa collection, who was only to pleased to bring some around for a mutual listen. Maybe he brings them around to my place as his wife hates Zappa; so much so, as a form of revenge, she will put on a Celine Dion CD and crank up the volume. Now if that isn’t revenge, I don’t know what else is! Becoming increasingly frustrated with software updates, equipment failures, armies of remote controls, an increasing number of digital formats along with their growing list of incompatibilities with media players, many music-lovers out there are, either, wiping away the dust from their old turntables and LPs or purchasing their very first turntable and scouring the secondhand record shops for bargains.